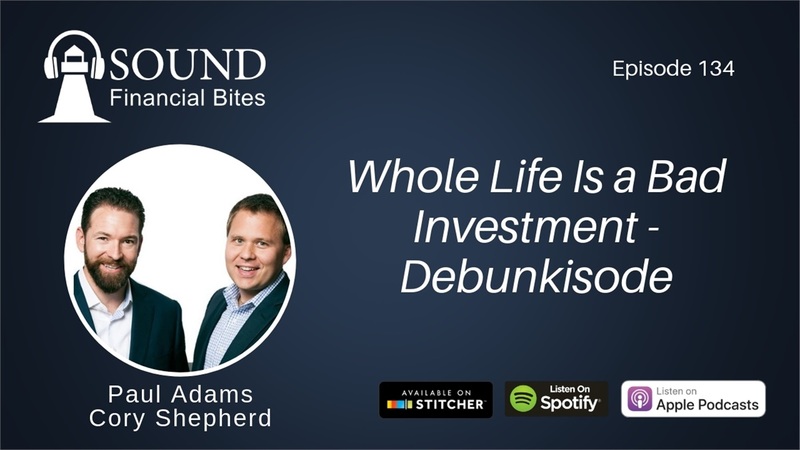 In this first ever debunkisode of the Sound Financial Bites Podcast, Paul and Cory debunk the myth that whole life insurance is a bad financial investment to make. They dissect and analyze an article that lists eight specific reasons that support the argument that whole life insurance is not a sound investment. By taking a deep dive into each of these reasons, Paul and Cory are able to give a more detailed and full picture of whole life insurance as a savvy investment in the right circumstances. “Newsflash: Mortality is a midpoint, not an endpoint."